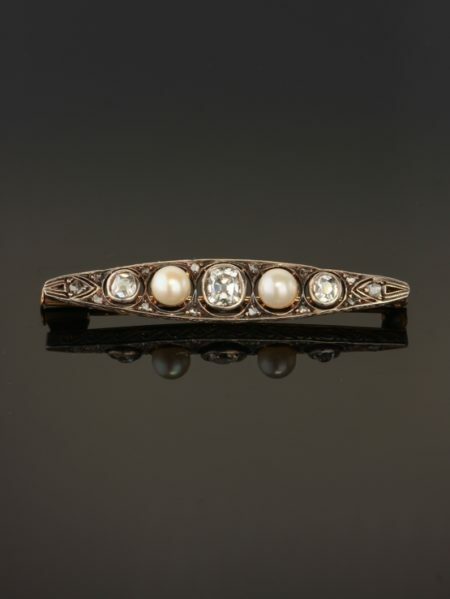 Sensibilities from Victorian era are surprisingly inventive and modern in their form. 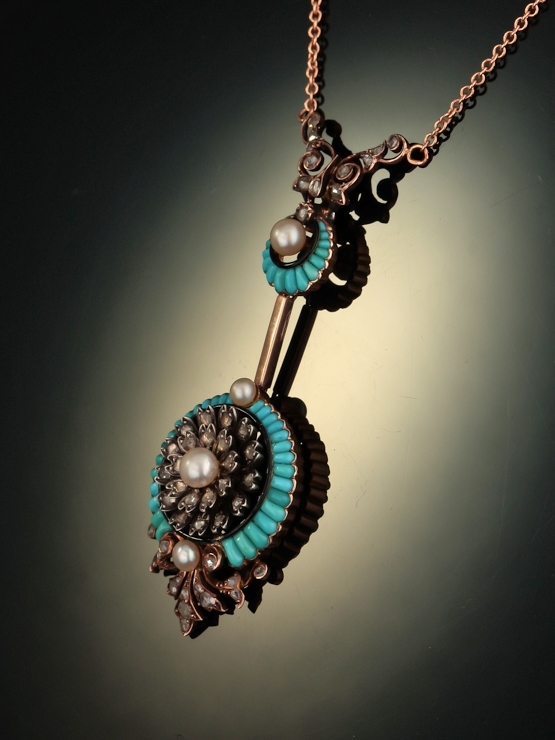 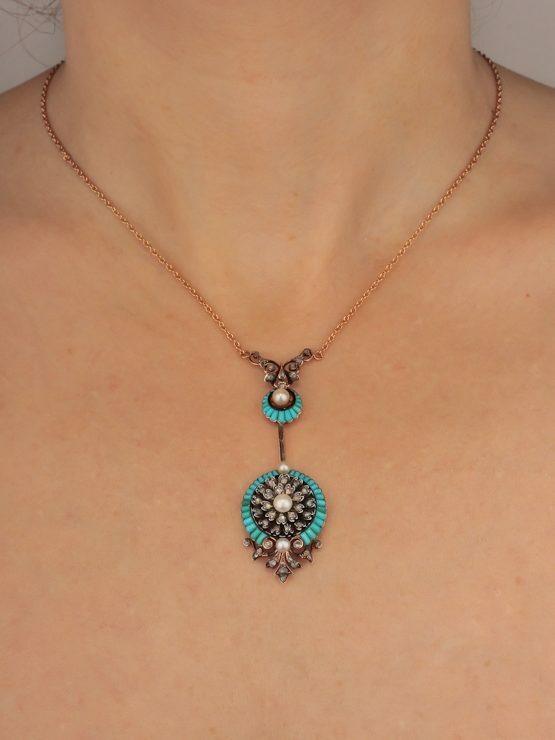 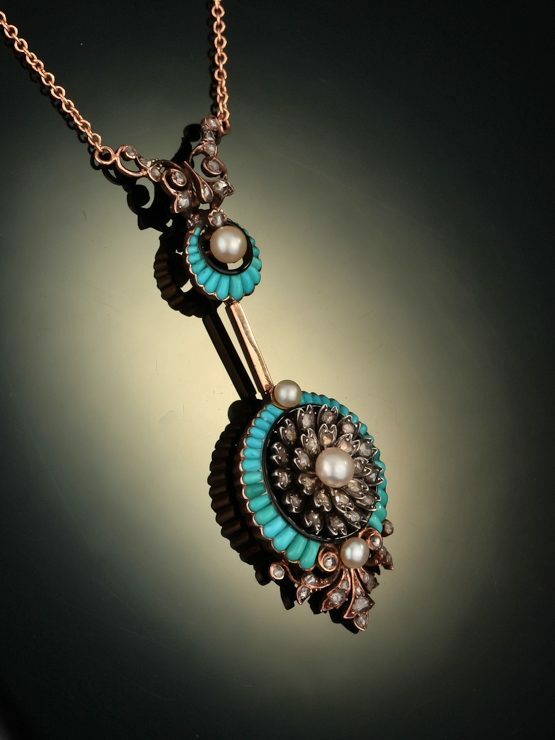 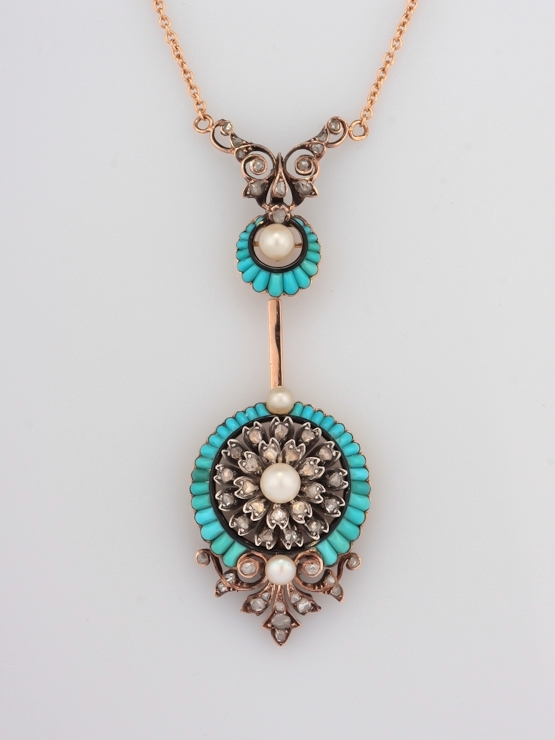 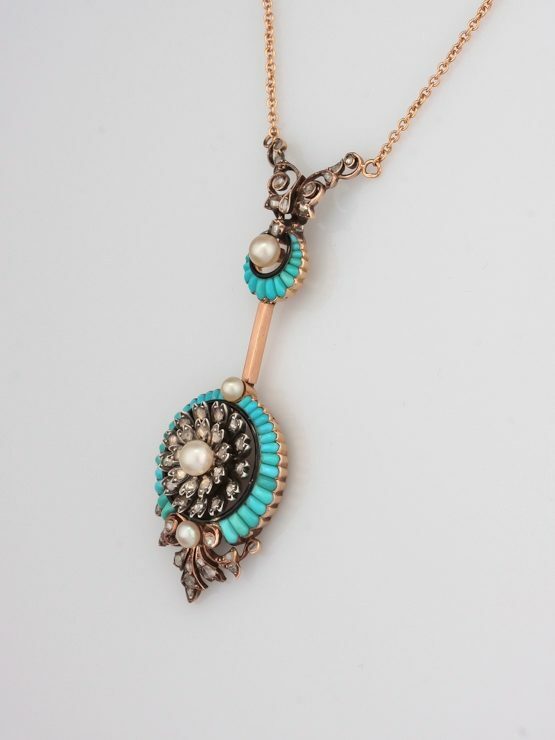 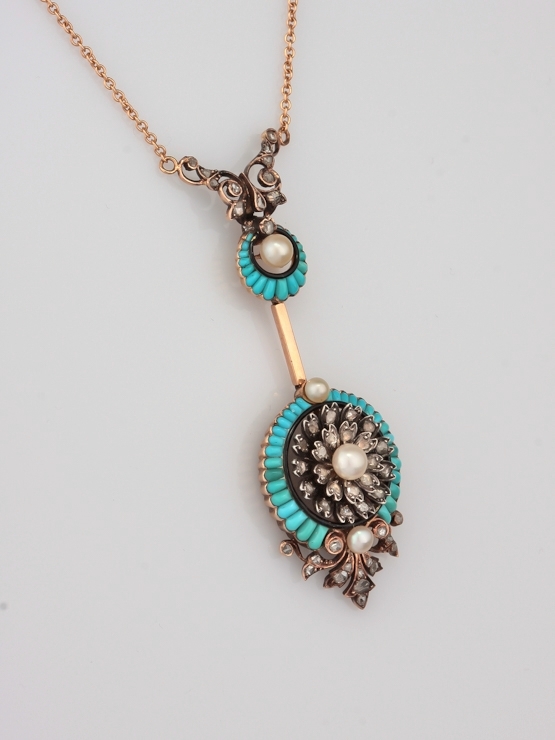 Displaying a real sense of style, symbolism and drama is this striking natural pearl turquoise and diamond with black enamel highlights necklace from Victorian era. 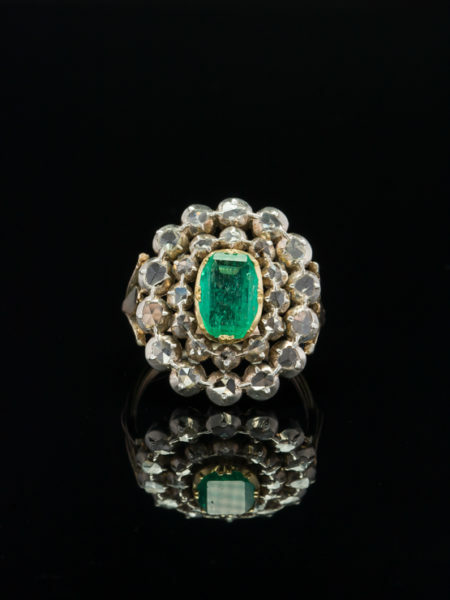 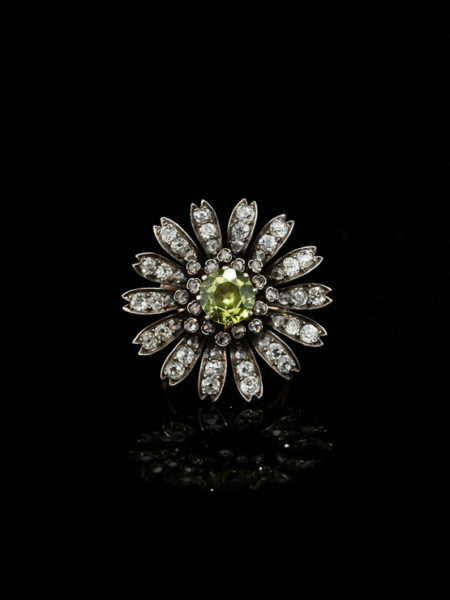 An articulated three element Victorian jewel captures the eye and enraptures the soul with its aesthetic of beauty. 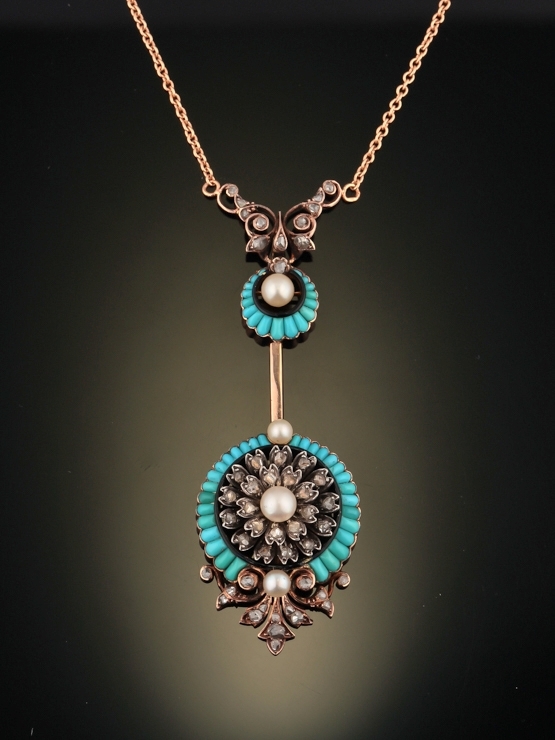 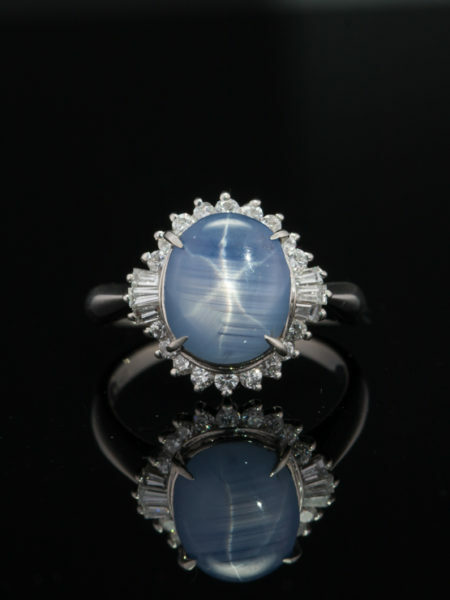 At the top a bifurcated form in shape of a stylized butterfly set with rose cut diamonds, the element segues with a natural bouton pearl of approx 4.2 mm in diameter floating in luscious cabochon custom cut natural turquoises in target conformation highlighted by elegant black enamel. 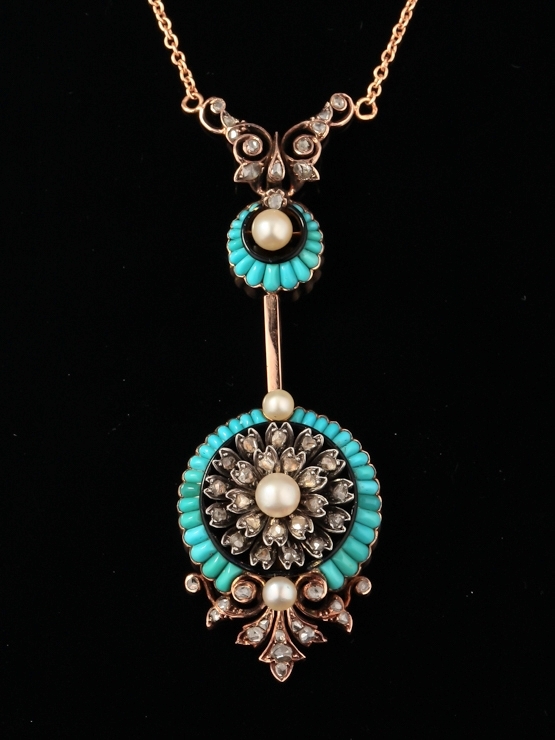 Suspended by an articulated bar is a gorgeous encircled multidimensional flower motif composed of hand cut natural turquoises, glittering rose cut diamonds and shimmering natural bouton pearls culminating in a diamond set fleur de lys. 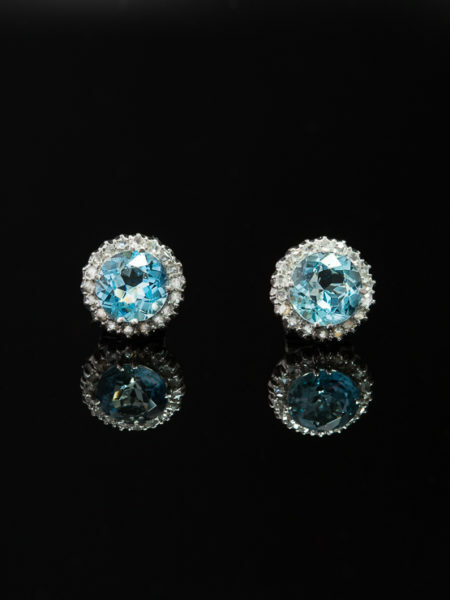 In all are fourty seven hand cut natural turquise tassels, fourty nine sparkling bright rose diamonds totaling approx 1.38 Ct by spread, and four natural bouton pearls set through the Frenchy design. 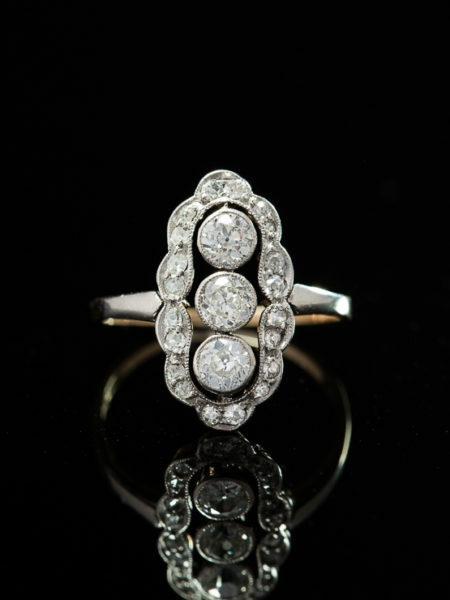 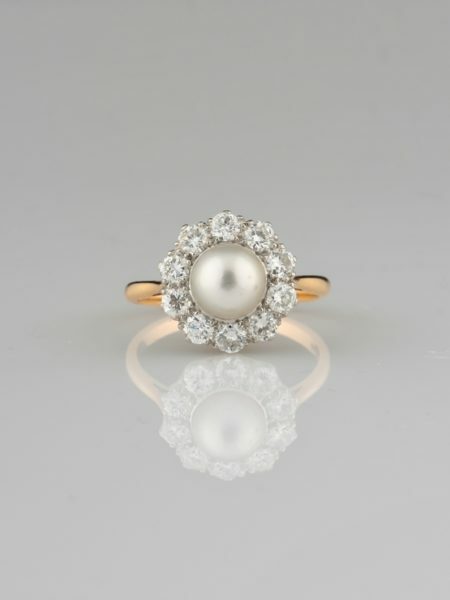 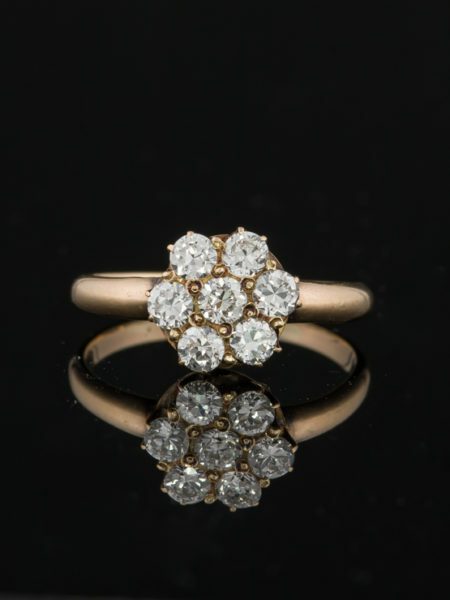 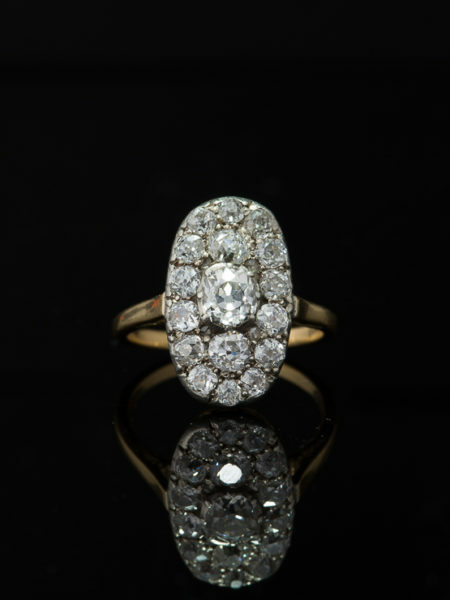 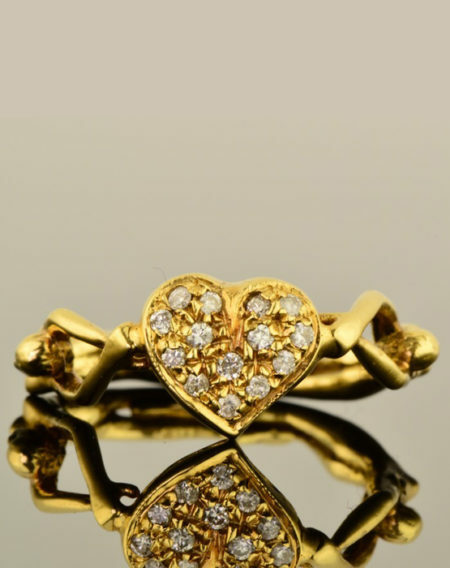 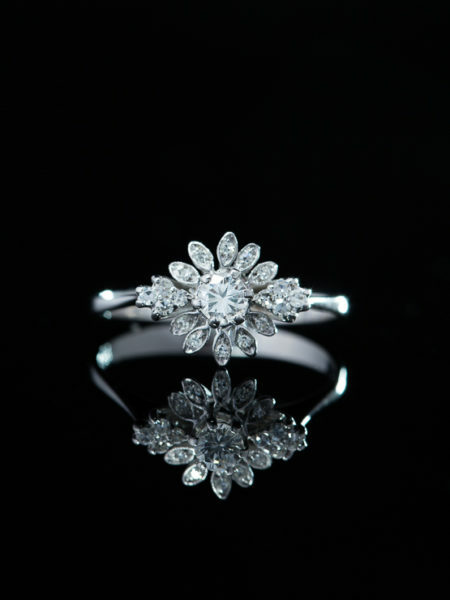 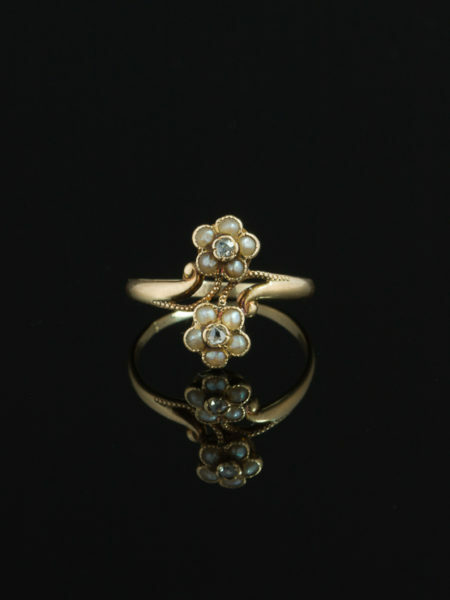 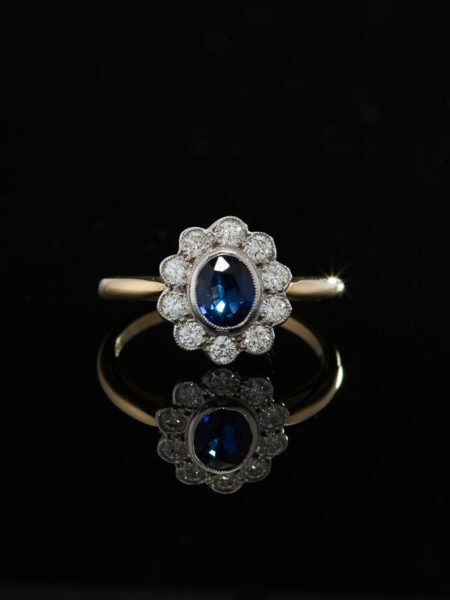 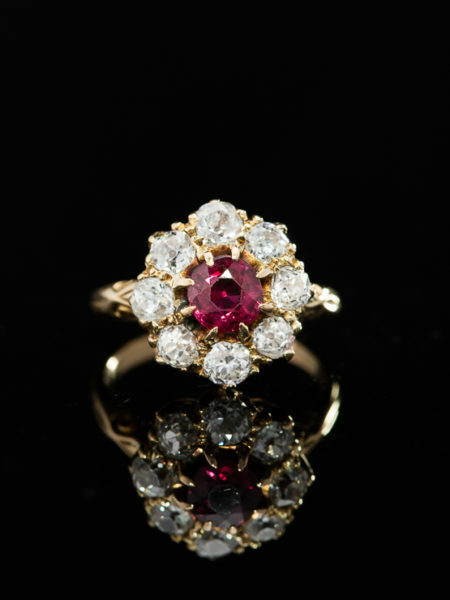 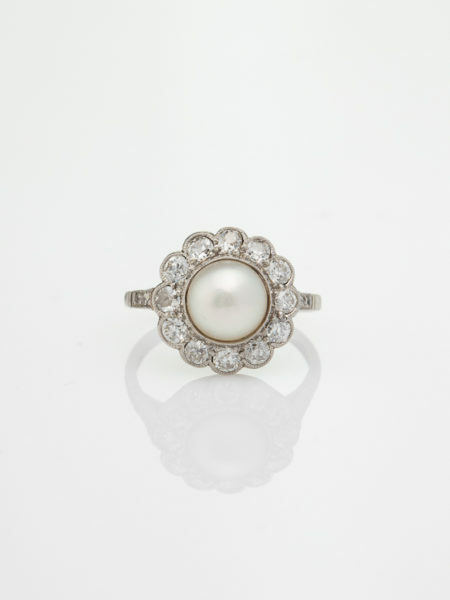 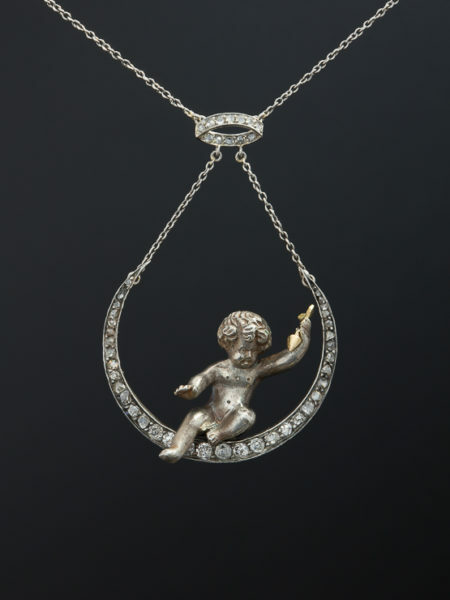 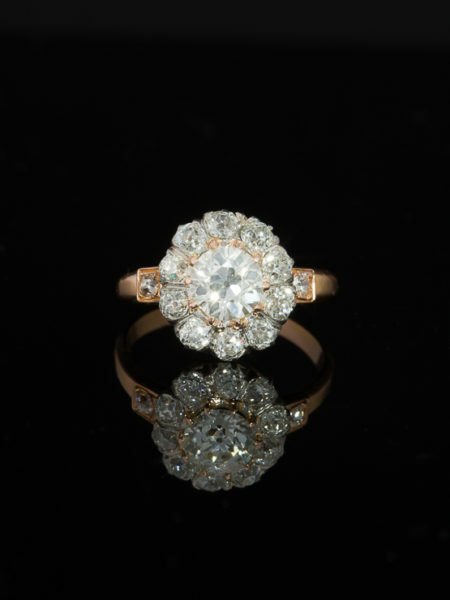 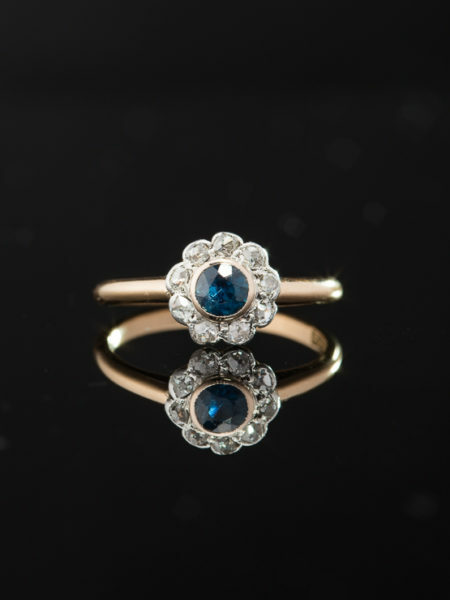 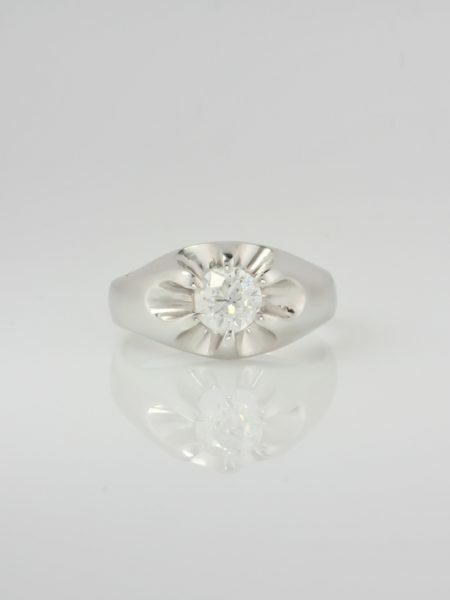 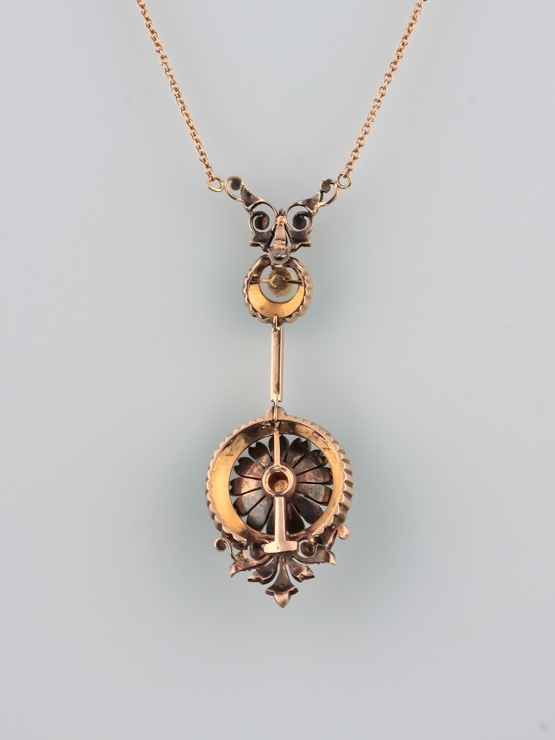 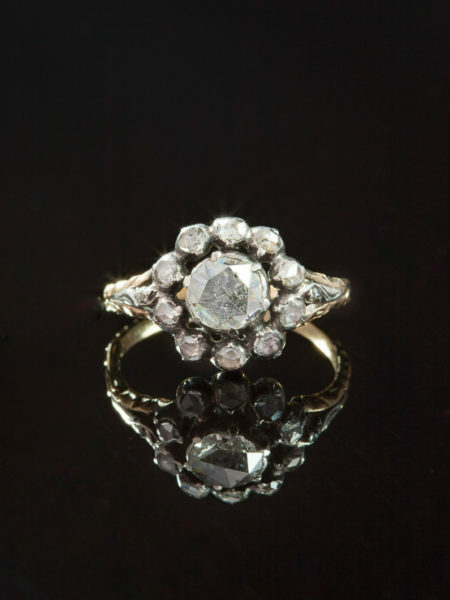 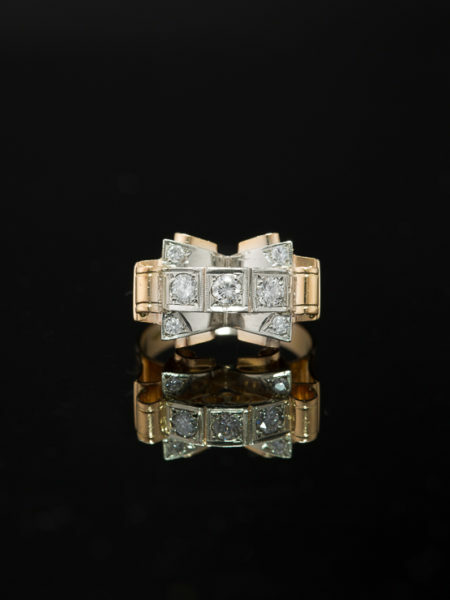 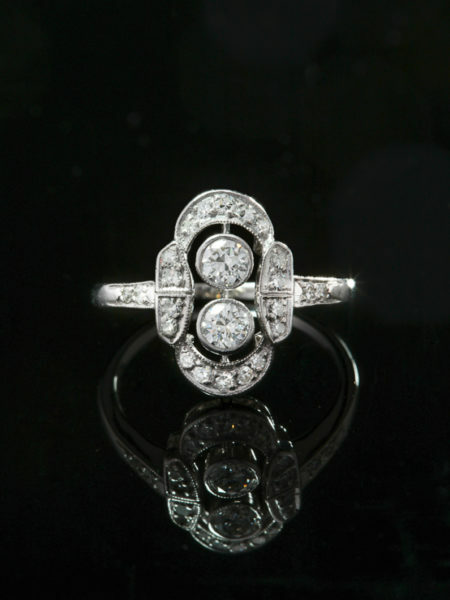 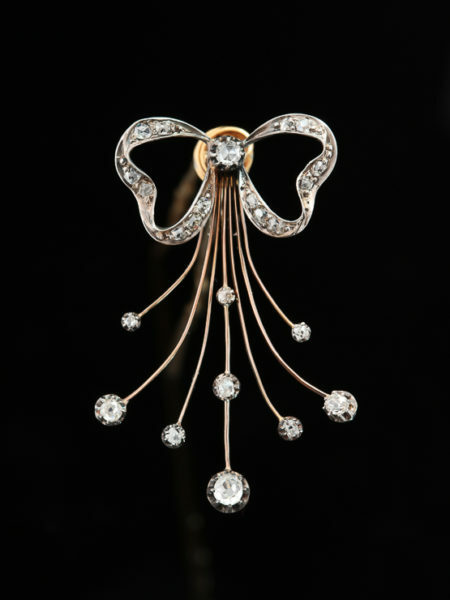 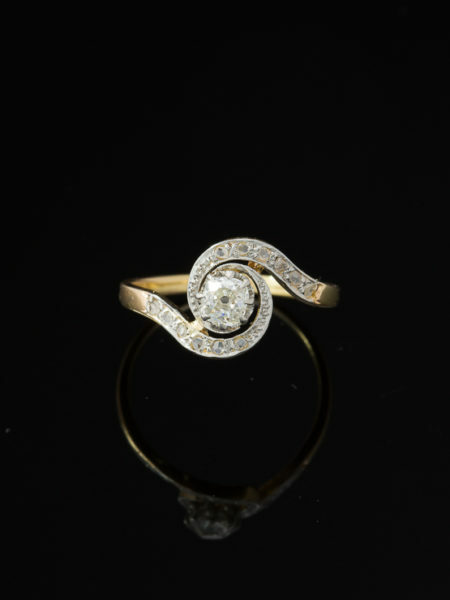 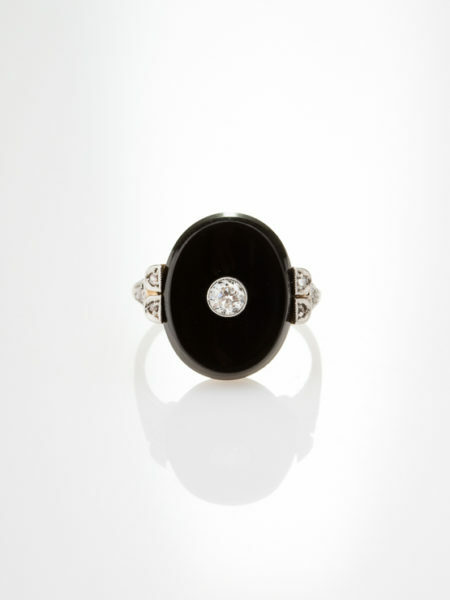 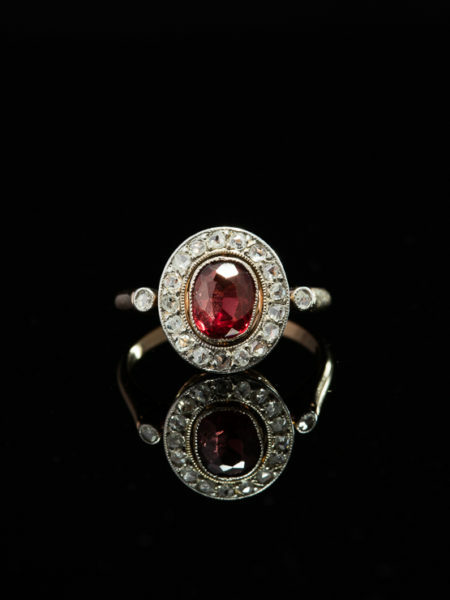 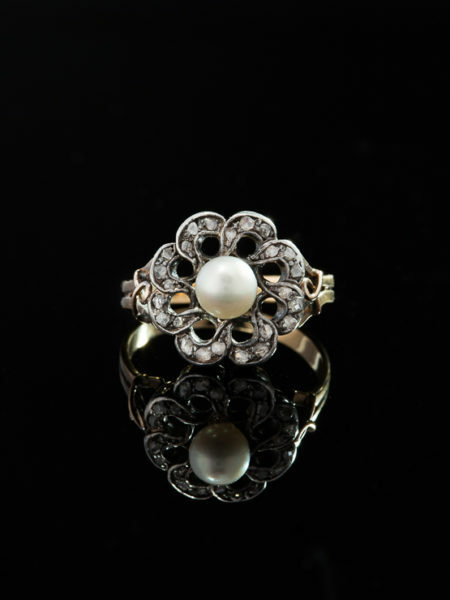 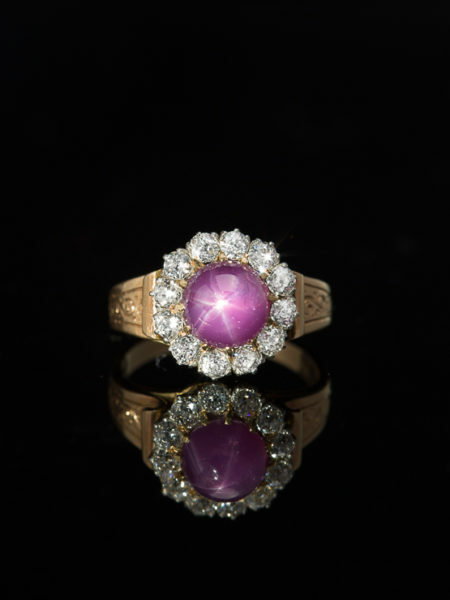 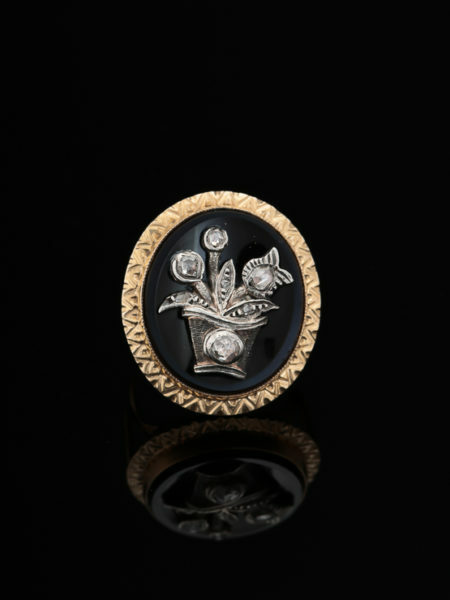 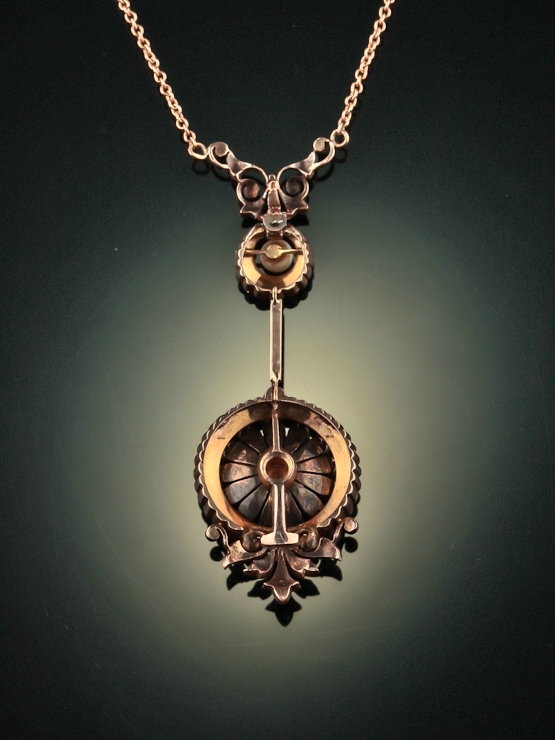 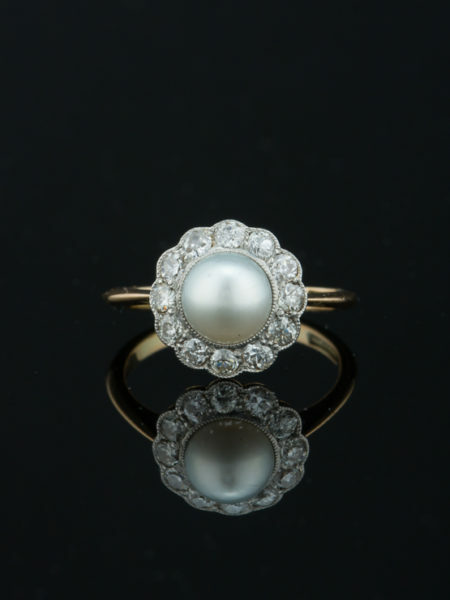 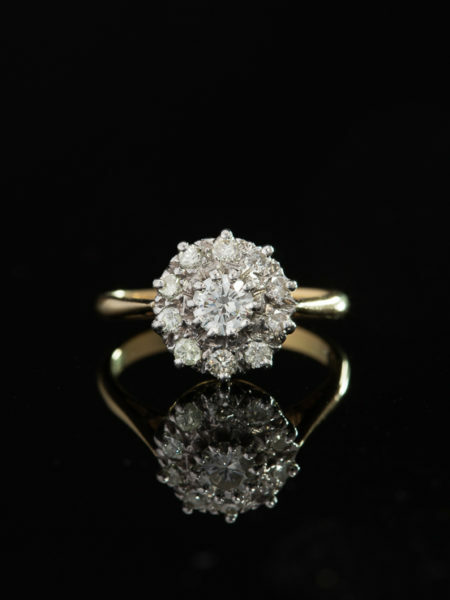 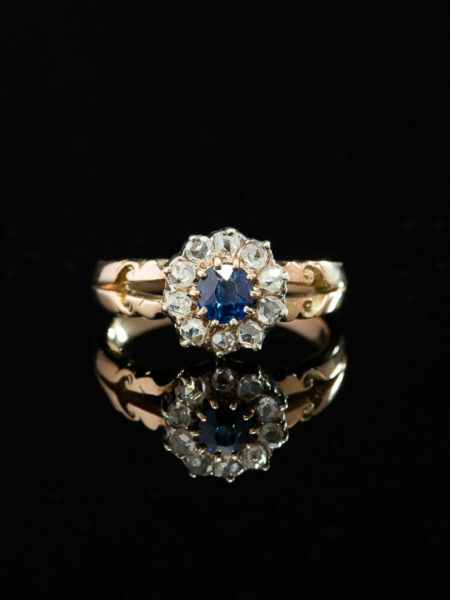 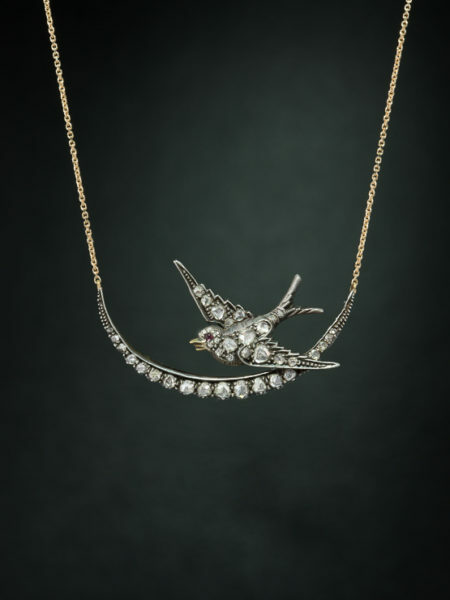 Artfully hand crafted in 18 Kt rose gold by a master goldsmith during Victorian era. 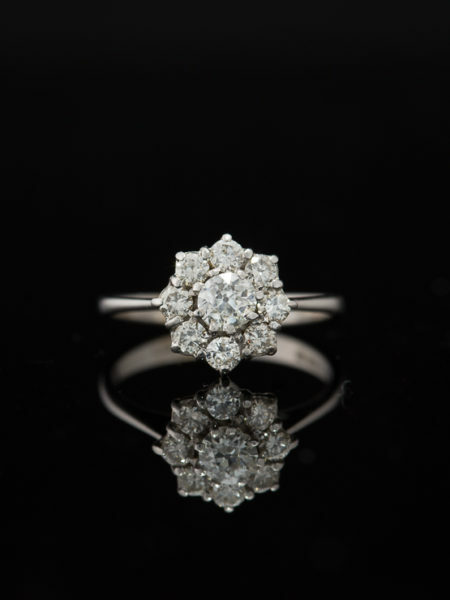 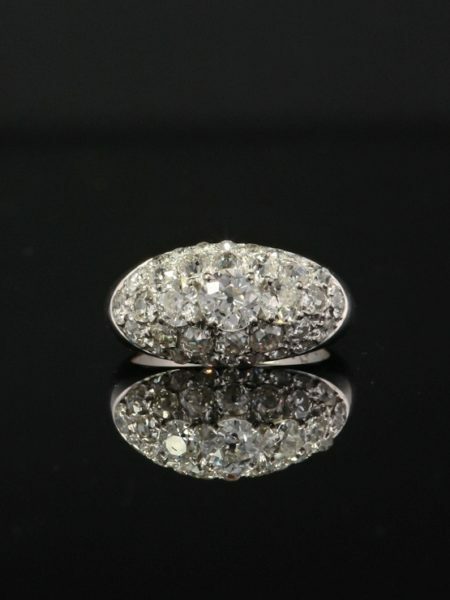 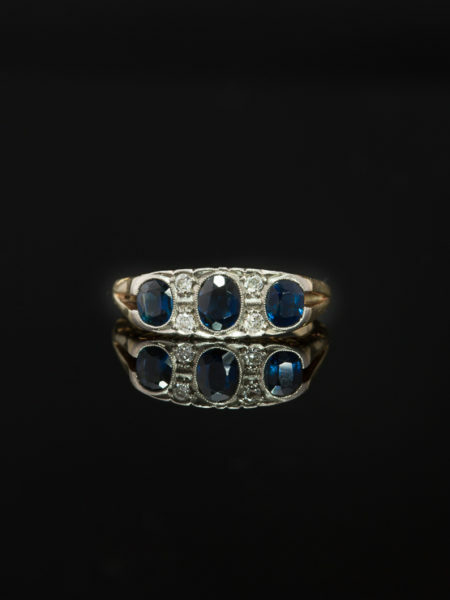 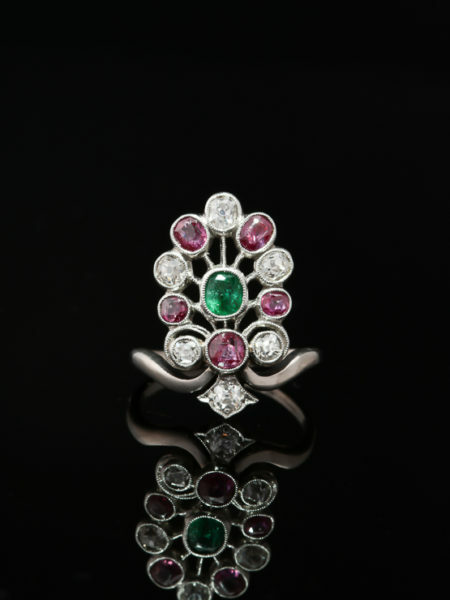 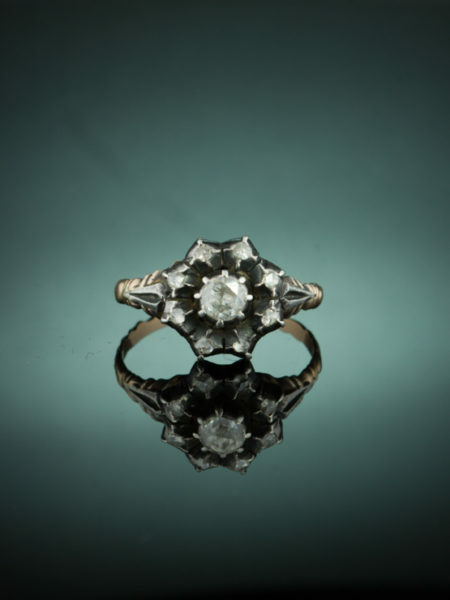 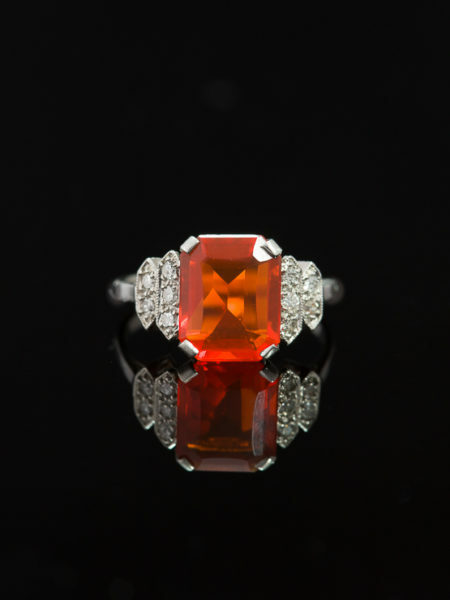 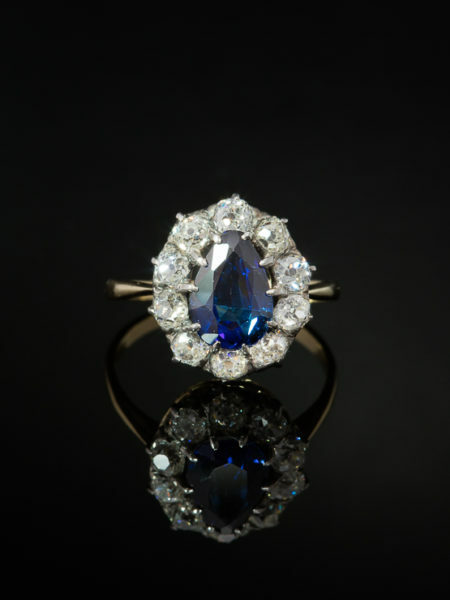 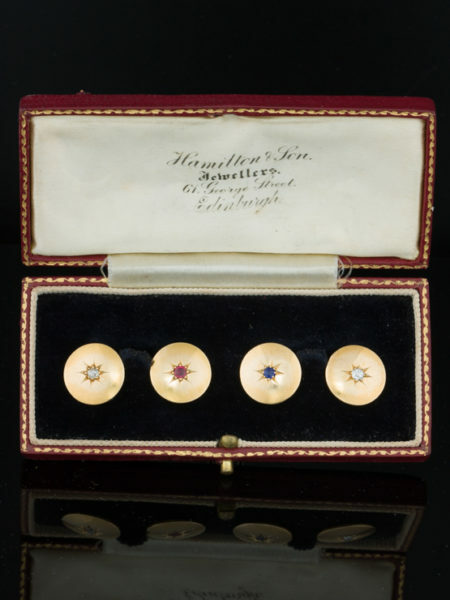 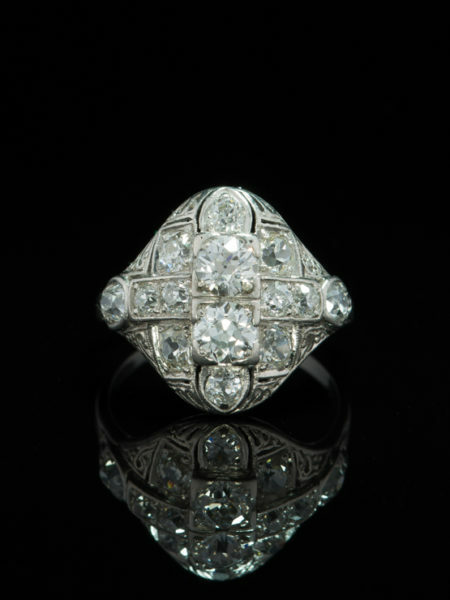 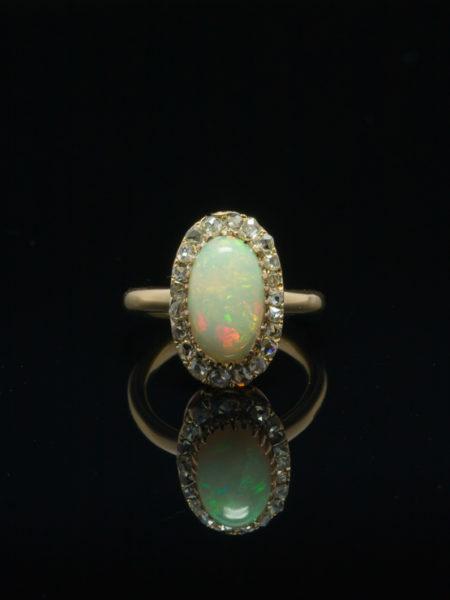 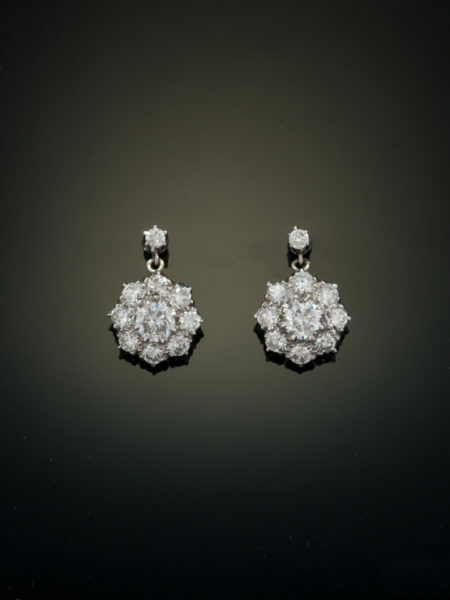 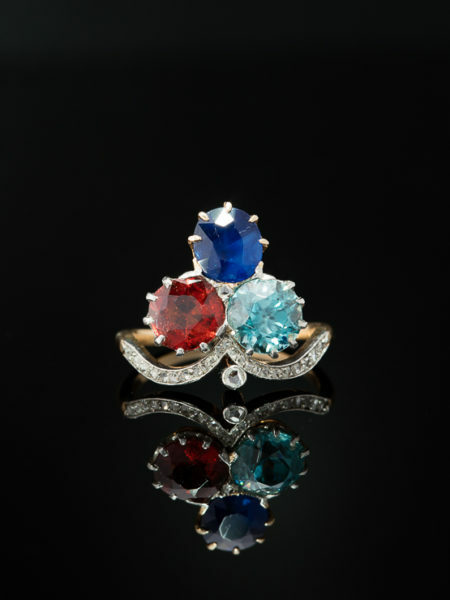 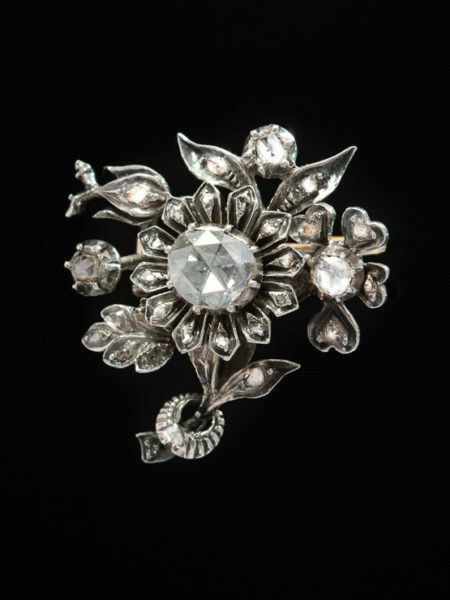 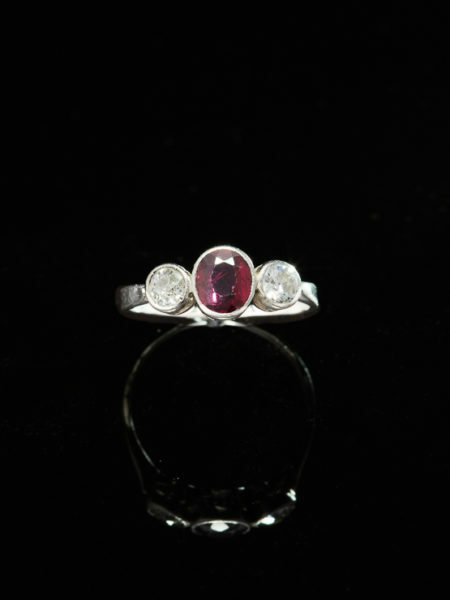 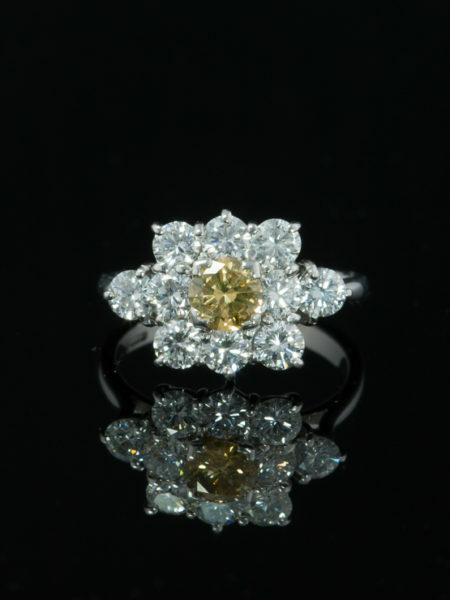 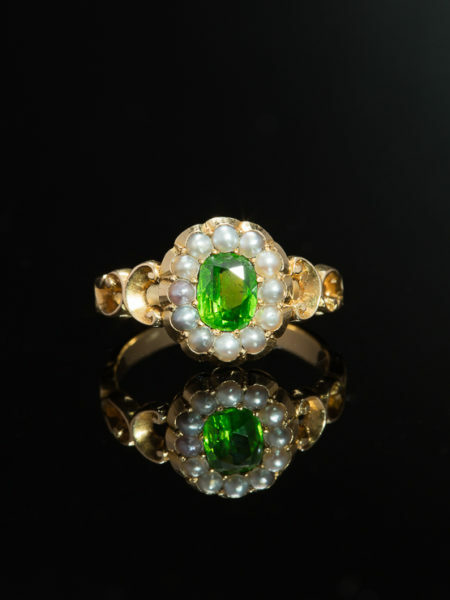 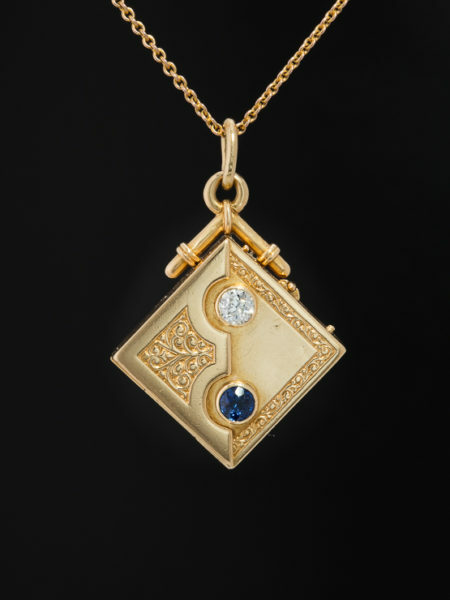 Sophisticated and elegant unique heirloom jewel.